Every day of our lives we see tens or even hundreds of billboards. One of the earliest forms of mass advertising in America, billboard advertising spend continues to grow at 5% (not bad for a 150 year old industry) to $8B annually. And while today’s advertising is dominated by pixels, our curiosity of billboards led us to see what may happen if the rigor behind digital marketing was applied to the physical world of billboards. Let's face it—online ads are easy to buy, easy to test, and easy to iterate. Everyone wants contract-free deals and the option to A/B test any combination of copy and design. Digital ads have spoiled us, so we've given up on other equally-effective channels of advertising. Billboards, once America's premier advertising platform, have not become any less effective. In fact, 71% of drivers have reported that billboards directly influence their buying decisions. And the same scientific method of researching, testing, and iterating can be done with billboards. While billboards might seem like an archaic medium, their constraints will actually force you to buckle down and think deeply about the message you're delivering. To send a message that sticks, you have to take a much more careful, scientific approach, tapping into consumer psychology and nailing down your brand's voice. 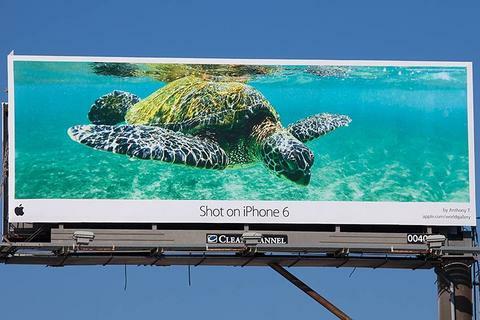 The result will not only make for a killer billboard, but will trickle down to affect all facets of your advertising. Here's how to take a scientific approach to designing your billboard for a lasting impact. Because cars drive past billboards at fast speeds, you have only 6 seconds to say something memorable. The top notch design and catchy brand name that would work with online ads aren't enough to make the sort of lasting impression that's necessary with a billboard. People who pass by have to remember your message the following day, or even week, for you to earn them as a customer. Take a systematic approach to narrow down the perfect pairing of color, design, and copy that will deliver a cohesive message that sticks, and sticks quickly. To start, you need to draw from psychology to understand what design will trigger reactions that will lead consumers back to your brand. You need to draw out the right emotions and associations that will bring your product to mind at a later time. Data and stats alone. Stats are great to impress someone on the spot, but they're not memorable. It's stories—or context— that make an idea stick. When world memory champion Clemens Mayer memorized 1,040 digits in half an hour, his technique had nothing to do with number patterns. Instead, he imagined a story in which he walked through a palace with different numbers in each room. Tag lines without obvious connection to product. As Michael Bloomberg says, modern ads are “too clever by half.” They're so focused on seeming smart that they forget to serve their main purpose—to sell the product. Here's an example from Rapala. Based on this punny advertisement, it's unclear if they sell outdoor clothing, fishing gear, or just lures. Pinpointing an unrecognized problem. Consumers' days are filled with little grievances that they accept as normal. Pointing them out will position your product as a solution. Show the result. If possible, advertise your product's effect, so the results can speak for themselves. It's smart and clear and packs a punch. 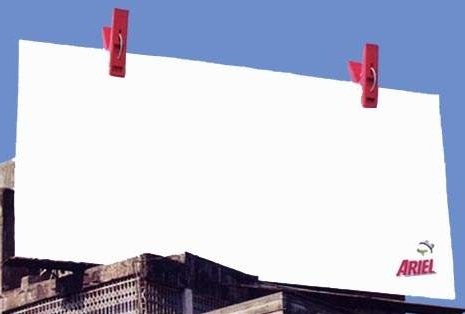 Take a look at how bleach company, Ariel, accomplishes this with a billboard that looks like an all-white hanging sheet. A Boston University study found that taboo words—such as curse words—are much more likely to be remembered than more neutral words. Participants were asked to look at a list of 36 words, memorize as many as possible, and then fill in the blanks for sentences with missing words. Recall for taboo words was 39% higher. The researchers attributed the results to the emotional arousal that offensive language induces. 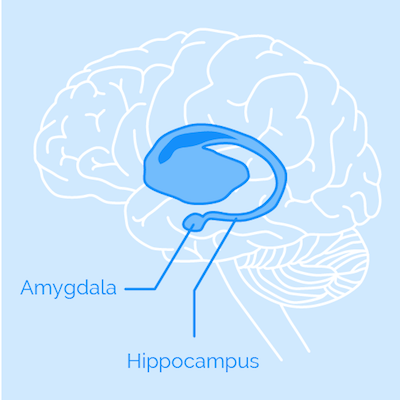 Taboo words flare up the amygdala — the part of the brain responsible for emotions— which affects the adjacent part of the brain, the hippocampus, responsible for memory. It's the same reason you remember where you were standing during a traumatic event, but don't remember anything about the week before or after. This doesn't mean that you have to load your billboard up with curse words and innuendos. But it does mean you can apply the same principles in your copy—appealing to the audience's emotions. Shock them with surprising imagery, tempt them with the potential for a life they don't have, or move them with the downside of never experiencing your product. Having the right kind of color contrast on a billboard has been proven to improve recall by 38%. Cognitive psychologist Jonathan Flombaum revealed that humans have a tough time remembering specific hues of colors. Even though we can distinguish millions of different shades of colors when we look at them, our brain can store only six basic colors. So if the colors on a billboard are too similar, our brain will lump them together and make it impossible for us to retain a visual memory of the ad. DuckDuckGo has kept their banner simple and to the point. Their catchy slogan in clear black on white is readable from any distance and increases the likelihood that a viewer will remember the brand. All the best design and clever copy will never land if a consumer can't even read your brand's name. Make sure that passersby have a name with which they can associate your message. Truthfulness of respondents. As with any group of people, you'll always run the risk that some participants will lie—whether because of the social environment or lack of personal awareness or some other reason. Avoid this by making answers confidential, and setting a time limit for how long participants have to respond. Possibility of bias. Most psychology experiments use the US census to get an accurate representation of the general public. Testing a billboard ad is easier than that, since you're only targeting a subsection of the population. Use data from existing users to create a target demographic or sample. There will be a margin of error. If your results slightly favor one option over another, it's not statistically significant enough to guide your decision making. Perform several experiments to determine whether your numbers indicate actual useful data, or if your data is a result of chance. Here are a few ways to simulate a scientific experiment to test the design for your billboard. You can always send around surveys to test your design before putting it up, but creating a focus group will help you figure out why your billboard message is or isn't effective. Participants can tell you not just whether your ad is memorable, but what really sticks out to them and how it makes them perceive your brand overall. Choose participants from your target demographic. Many people assume that billboards shouldn't target the way online ads do, since a billboard will be viewed by all kinds of people. But targeting is crucial for marketing to the right customer. A specific campaign will speak to some people; a broad campaign will speak to no one. Simulate the experience of passing by a billboard. The best way to do this is by flashing several ads for approximately 6 seconds and then asking questions about what sticks. Get specific with your questions. The more specific your questions are, the better you'll understand why an ad is successful or not. Don't just ask which ad the participants remember—ask about the specific brand name and the imagery. Also, get a sense of what ideas and memories are triggered by the ad. If you don't want to go through the trouble of conducting this kind of experiment in-house, consider outsourcing to a company like Survata. They can put together a focus group based on your specified criteria to test your visuals and copy. Banner ads on websites. This is a great way to make sure that you're testing the right demographic. You can pick a site that caters to the same audience as you and display several iterations of your billboard as a test. Facebook ads. Facebook ads are the least expensive, but they're tricky because of the nature of the social networks algorithm. AdEspresso is a popular tool that will navigate you through the setup and help you A/B test your ad in front of the right people. Click-through rates (CTR) will tell you whether users react to your ad with urgency. Conversions and purchases will tell you whether your product was properly represented by the ad. Delayed visits to your website,which can be measured through surveying site visitors, will tell you whether your message leaves a lasting impression. Keep copy under 10 words. Drivers have only a few seconds to glance up from the road, and they should be able to immediately understand your message (without slowing down or getting in a car accident). Avoid big block text. This looks cheap and outdated. Viewers will be reminded of divorce lawyer and “we buy gold” advertisements from the 90s. Stick to one image. 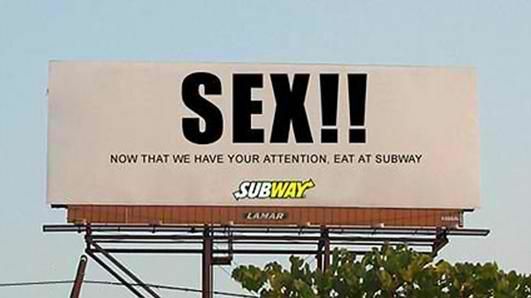 Studies have shown that billboards are most successful when they have only one visual focal point. If you have too many images, consumers won't know where to look to get the gist of your message. Maintain consistency. 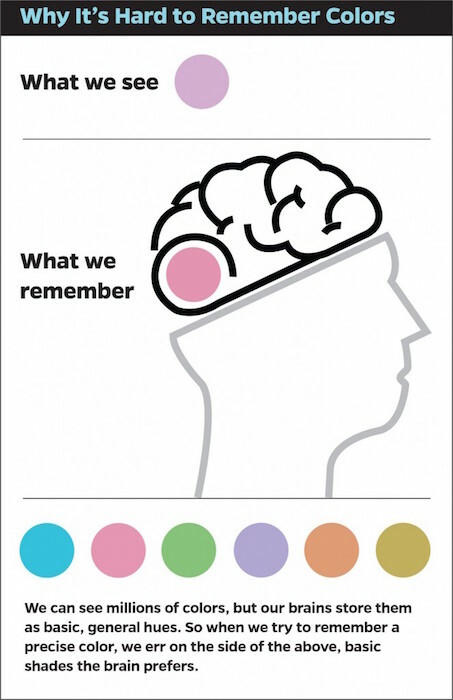 Visual stimuli are one of the best ways to trigger memory. That means that it's not just your brand's message that needs to stay consistent—so does its packaging. Make sure your billboard creative is similar to the rest of your marketing (website design, web ads, logos, etc.). For that, many larger companies create brand guides. Don't overdo CTAs. Asking viewers to call, email, or visit your website will not only inflict decision fatigue, but also decrease the likelihood that they'll read other more vital information. Stick to one, if any, call-to-action. Keep these in mind, and you'll be sure to avoid rookie mistakes when it comes to your billboard. It's tempting to be safe and stick to online ads that you can change up or cancel at any moment. But online ads serve a different purpose from billboards—they send traffic to your website. Billboards, on the other hand, magnify your brand's reach and imprint a lasting impression of your entire company. Although that is harder to put a number on, it's just as—if not more—important. Next, it's important to decide on the correct resource to design the billboard for you. Click here to download the design landscape ebook, and its accompanying worksheet.